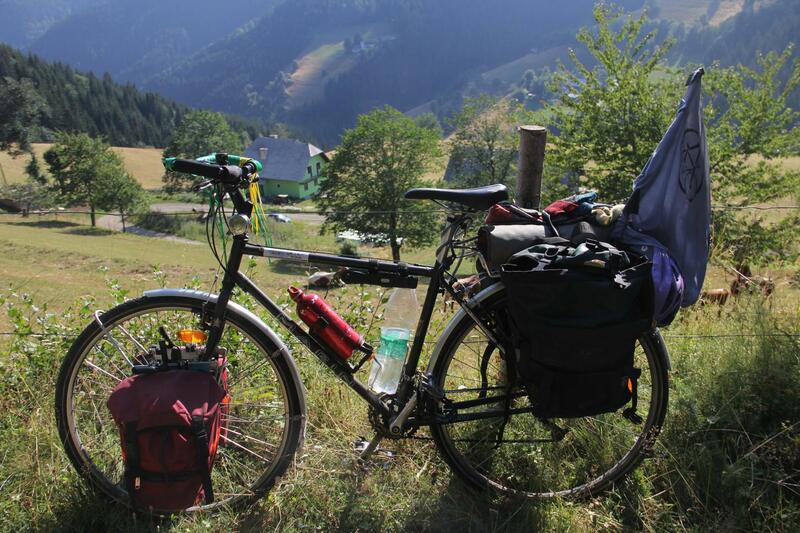 Home Ecotopia Biketour Get involved! The following is a list of priority things that need to be done by all of us. 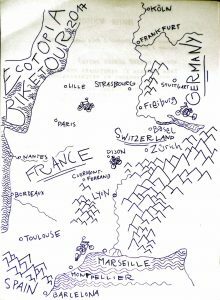 Also checkout our page about How to get involved in Ecotopia Biketour 2017! Pass the word to friends, bicycle-activists, cyclepunks, and other bike-freaks! 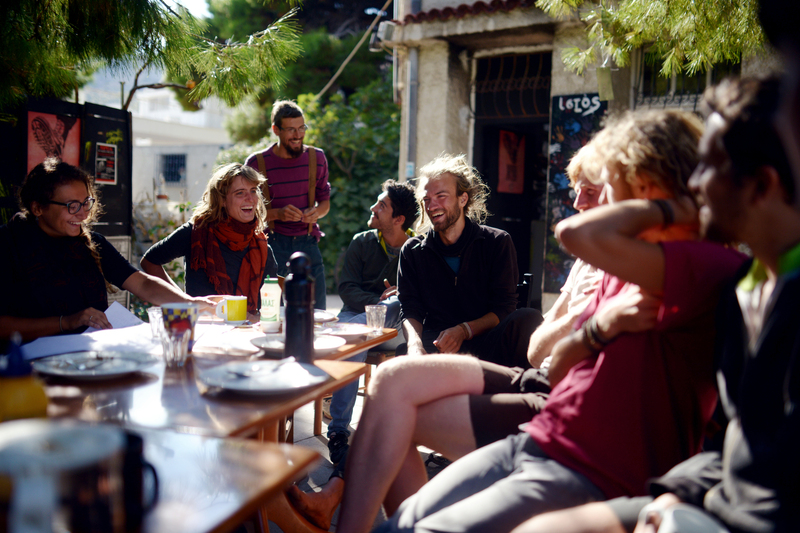 Maybe organize an Ecotopia Biketour Event: a dinner and a presentation at a nearby autonomous social center or a party after your local Critical Mass. 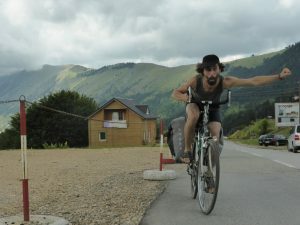 Ecotopia Biketour is not a trip to the beach! Every year, we visit places where we can learn things, help out, support actions or share our skills. 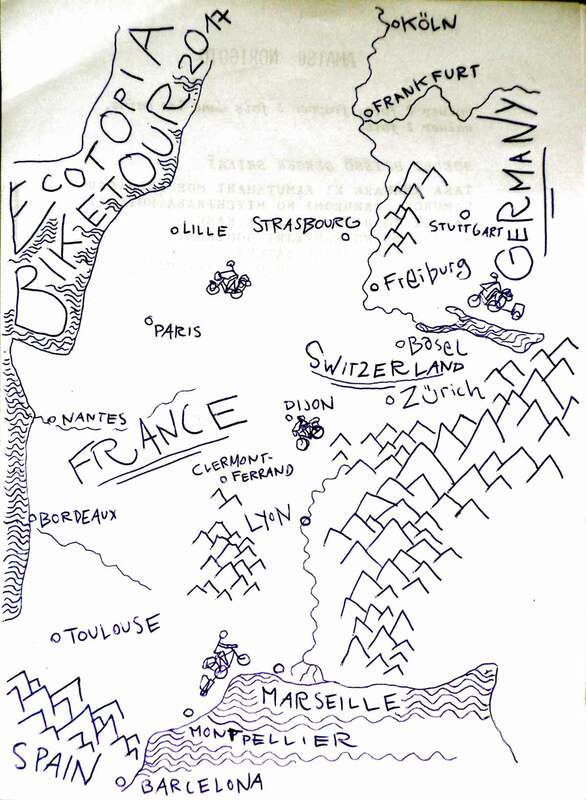 All these projects are suggested by the wide Biketour network – by YOU! We are looking to visit projects, join up with grassroots campaigns, NGOs and social movements and communities relevant to structural (economic/political) or personal (e.g. poverty as a result of austerity) crises and how people are finding creative solutions to coping with its effects or fighting against it. We will also revisit themes that we have seen in previous Biketours such as ‘degrowth’, public debt, austerity, economic refugees, minorities and solidarity. Can you recommend any places / people / communities / projects / activists around the area that we should visit to learn from, take part in actions or to lend a hand in some way? If you can’t, but you know someone who can, perhaps someone living in this part of Europe, please do ask them to share information with us so that we can consider their ideas, along with all of the other options. Please send any info/ideas to info@ecotopiabiketour.net or use the contact form. Please get in touch with info@ecotopiabiketour.net, if you could imagine to coordinate and participate in a part of the route in your area! We need translators for our website, flyers and printed materials for the language regions we are passing though, but any language you can translate is useful! We will not be able to translate everything into all these pages, but with your help we can make a start and priorities. Please contact info@ecotopiabiketour.net if you might be able to help. You don’t need to be an artist or designer to help with graphics for flyer, posters, stickers, t-shirt, booklets. Neither do you need to be a poet to come up with nice slogans or thoughtful blog entries. Nor do you need to work in HollyBollyNollywood to make a video/documentary. Ecotopia Biketour sadly needs money: To help to make an action or a workshop happen, to help places we are going to visit, to pay for visa costs or be in solidarity with people who can’t afford their travel costs, for the coordination team and for equipment like trailers or tools. Either get in contact with us or check out the fundraising wiki pages for more details.